You want to be a songwriter, but you’re struggling to transform your jumbled thoughts into a cohesive lyrical story. Before you toss your dreams of being a song lyric writer aside, take a deep breath and don’t give up. There’s no guaranteed method for how to write a song and rarely does a songwriter achieve success on their first attempt. Even professional songwriters have trouble writing song lyrics from time to time. 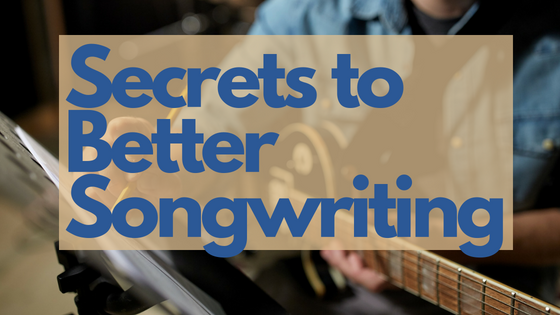 Here are some secrets to better songwriting to help you learn how to write a song that not only tells a story but strikes an emotional chord with the listener. Rule #1 – There Are No Rules – Well, there’s no universal rules at least. Every singer songwriter has their own rhythm and you just need to discover what works best for you. Just because another songwriter swears by a certain method, it doesn’t mean that you must follow those guidelines. Find what feels natural for you when writing song lyrics. Remember though, just because you’ve succeeded in the past using one method, it doesn’t mean that you shouldn’t explore other avenues in the future. Rule #2 – Start with Your Message – What do you want to convey in your song? Is it about falling in love, experiencing a heartbreak, following your dreams or overcoming adversity? Write down what you want the song to be about and focus on key words and phrases that you may want to incorporate as you begin writing song lyrics. Keep jotting down ideas that are relevant to your message and you’ll soon have a list of potential lyrics that you can pull from to place into your song. Rule #3 – Keep a Notepad Handy – You never know when inspiration may strike. You could be having lunch in a neighborhood diner, strolling down a busy street or simply lying in bed before you fall asleep. Don’t risk being that singer songwriter that lets a great idea slip through their grasp and instead make a note of your song lyrics either on an old-fashioned notepad or by typing it into your smartphone. Rule #4 – Let the Song Build – When writing song lyrics, it’s important to allow space for the song to grow. Start simple and expand as the song progresses to delve deeper into the story while also building the musical energy of the song so that you end on a powerful note. It doesn’t need to be, and often shouldn’t be, a steady climb though. Let the lyrics dip and slow down before rising again to create variety and keep the song from being too predictable. Rule #5 – Use Your Own Life Story as Inspiration – It’s always easier to write what you know. You can’t write about the first time you fell in love if you’ve never experienced those emotions before. Think about a moment in your life that helped shaped the person you became and focus on the way that it made you feel. Songs that are about real life are more likely to connect with other people who may have experienced a similar story. 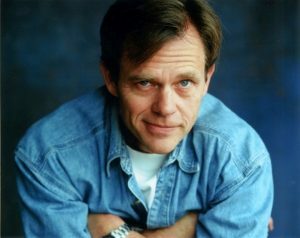 Tom Douglas, an American county music songwriter, often speaks about finding himself in songs and building from his life experiences. Rule #6 – Don’t Force It – If the creative juices aren’t flowing, don’t be afraid to step away and take a break. A change of scenery is often helpful for a songwriter who is struggling to find the right words. It’s easy to get overwhelmed when writing song lyrics and even a short walk outside can help you to free your mind from all the ideas that are fighting to be heard. Even if it takes months to finish writing a song, you’ll be happier with the finished product if you take the time to make it great instead of just rushing to finish it. For a songwriter, learning how to write a song is the first step in a long process of getting your song heard around the world. We hope these six songwriting tips serve to inspire you the next time that you’re writing song lyrics and perhaps you may even have a hit song in the future. Once you’ve completed your masterpiece, submit it to one of the numerous songwriting contests or competitions like ours, Music City SongStar. The competition is open to songwriters worldwide and we encourage songwriters of all skill levels, as well as all genres of music, to submit their lyrics. Learn more at Music City SongStar.